80% of the email responses had staunchly opposed the move of NEXT. 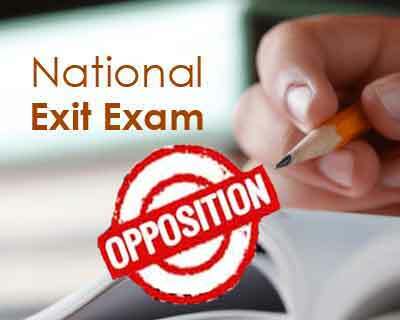 New Delhi: With the government planning to introduce National Exit Test (NEXT) as a common licentiate point for exit to MBBS courses as well as entry to PG courses, the move is reportedly being met with strong opposition from medical aspirants and general public. Replying to an RTI filed with the NITI Aayog, the organisation has stated that while it had put up the National Medical Commission Bill in the public domain for comments, majority had replied showing their opposition to NEXT. A recent report in TOI reveals that 80% of the email responses had staunchly opposed the move of NEXT. Medical Aspirants on the other hand, have shown their opposition to the exam. “At present, MBBS students have to clear over 10 examinations to get the degree. How can one more theory exam do wonders and bring about change in quality of medicos?” said Mohamed Khader Meeran, an MBBS student from Mahatma Gandhi Institute of Medical Sciences (MGIMS) who had filed the RTI with the Aayog. “Ideally, the government should drop NLE’s idea and focus on giving hands-on training to the existing students,” he told TOI. Meeran has in this regard, has filed multiple RTIs with various government agencies and based on the responses received on the same, submitted a detailed 28-page report on the NMC bill to the PM, the FM and the group of ministers. The bill is currently with the group of Ministers led by Shri Arun Jaitley and the review is in the final stages. govt and mci has failed to standarized m.b.b.s courses in india.Now they want to test after one has compleyed his course.now if some one fails to pass the test total wastage of tax payers money. The government should bring in a similar exam for the judiciary also. One examination does not solve all the problems that are there. The standards of medical education should be monitored, carefully from the very beginning. Unscrupulous medical institutions should not be allowed to operate in this country, at all. If all the medical institution are of very good standards there will not be any need of such an examination. At the same time why would anyone fear such an examination if all the doctors that are trained in various institutions are of high caliber? The simple fact is that many of the degrees given are just sham. The poorly trained or untrained doctors are of more harm to the society at large than any thing. Corruption has to stop at every level.